The Japanese snow season is now ticking along nicely, and generally speaking, snowfalls are tracking along average lines. 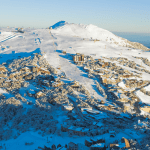 Some resorts on central and southern Honshu have coughed and spluttered their way into the groove – a bit like my old 1984 Mazda 323 station wagon used to – while northern Honshu and Hokkaido have barely stopped snowing since early December. 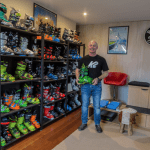 That’s a fairly brief way to sum up the season so far and some of you probably want to see hard data, such as the way we use Spencer’s Creek snow depths to gauge an Aussie season. 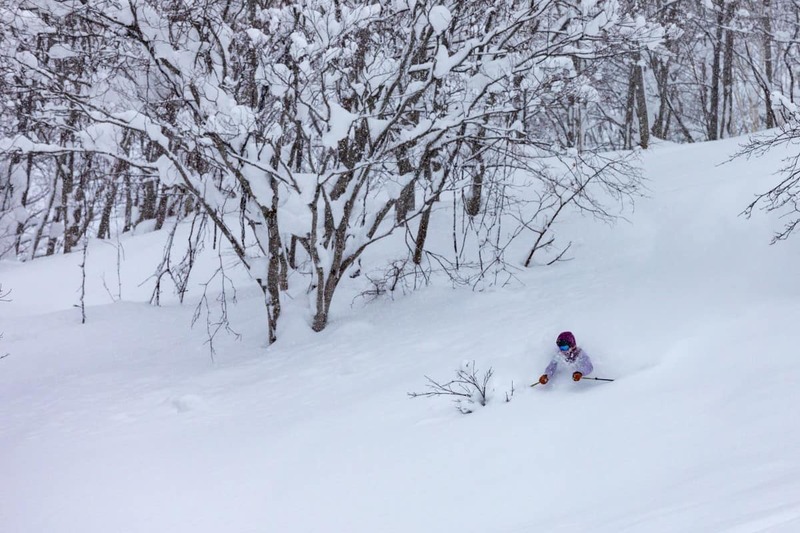 As the wise Matt Wiseman alluded to in his Fortnightly Niseko Wrap-Up, pinning down representative data is a tricky one here in Japan where we enter a sort of snowy space-time continuum. 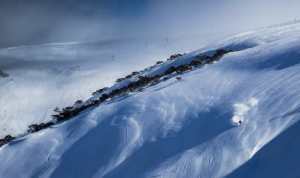 Take Hakuba and Myoko for example – two resorts just a stone’s throw from each other. 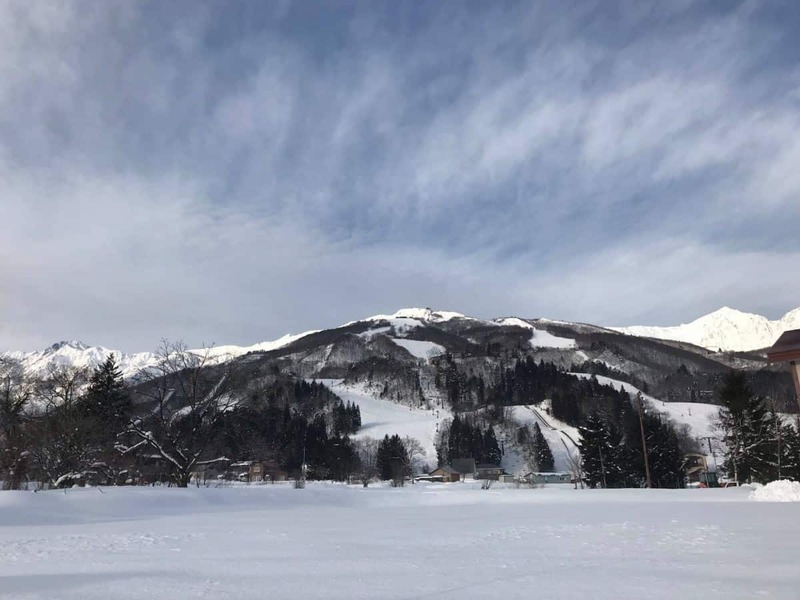 In the last seven days Hakuba reported 30-40cms of new snowfall while Myoko reported about 100cm, with season totals of about 1.7m and 7m respectively. Could they be any more different? 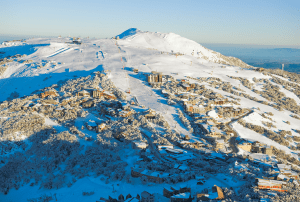 You can be forgiven for thinking a similar amount of snow would fall on the two resorts during any particular storm. Of course, these figures also vary depending on where you look, but this still highlights the point. A delicate mix of location, orientation, altitude, upstream terrain and proximity to the Sea of Japan can be the difference between a dump and a dusting. The Japow Machine itself, which I’ve so often talked about, could also go some way to explain some of the differences. The freezing northwest winds coming off Siberia tend to form bands of clouds, called cloud streets, as it crosses the Sea of Japan – a bit like fresh corduroy first thing in the morning after the groomers have been at it. If you happen to be in line of one of these cloud streets, you would see heavier snow than the unlucky fella down the road who wasn’t. 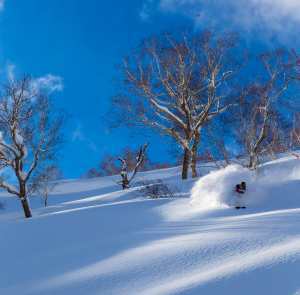 With that being said, we can still provide broad indications of whether conditions are favourable or unfavourable for certain regions, which in turn can be interpreted and tailored for each of Japan’s 500 or so resorts. Yet again I can report we are stuck in this strange neutral phase of the El Nino Southern Oscillation (ENSO). Sea surface temperatures (SST) in the Tropical Pacific are still above El Nino thresholds, but the atmosphere just isn’t playing ball. It’ll now be hard for the atmosphere to get into El Nino mode due to variations that occur over the tropics at this time of year. Part of the issue is that waters between the dateline and the Solomon Islands are also warm, meaning we aren’t seeing that west-to-east gradient in SST anomalies. Attesting to this is that the southern oscillation index (SOI), which measures pressure differences between Tahiti and Darwin, has been hovering up near La Nina values – huh, go figure?! If the atmosphere fails to respond, then the tropical Pacific is unlikely to have an effect on our precious Japow. Regardless, models keep SST above El Nino thresholds through the remainder of the Northern Hemisphere winter, and then we have an equal chance of an El Nino or neutral phase for the Southern Hemisphere winter. Despite El Nino’s shortcomings, JMA’s seasonal forecasts continue to look a little El Ninoey. Under typical El Nino conditions, chances of below average snowfalls increase as we head southwards along the Sea of Japan side of Honshu. Conversely, more frequent lows from the Yellow or East China Seas can bring more snow to high elevations on the Pacific side, but also more rain lower down. This appears to be the gist of JMA’s outlook for January through March. Other climate models from the big players, such as the ECMWF, UKMO & NOAA, tend to agree with this notion and also show smatterings of dryness and generously laying on warm temps. Not that JMA’s outlook is horrible to look at by any means. In fact, Hokkaido stands a good chance to receive more snow than usual, and so does northern Honshu during the next four weeks. Although we’re unlikely to get inundated more than usual on central Honshu, we still stand a good chance for average snowfalls there. 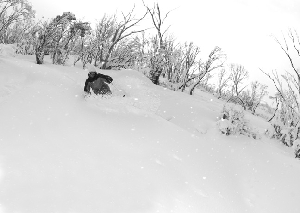 In Japan, average equates to epic when we’re talking about snow. Its unlikely JMA’s outlook is simply driven by El Nino, and other factors such as nearby warm SST and other tropospheric oscillations will be taken into account. Looking at mean sea level pressure and geopotential anomalies, JMA and major climate models plonk high pressure over Honshu as well as deepen the Aleutian Low. This may have the effect of shifting those cherished northwest winds further north, thereby weakening them over central and southern Honshu, while strengthening them over Hokkaido. 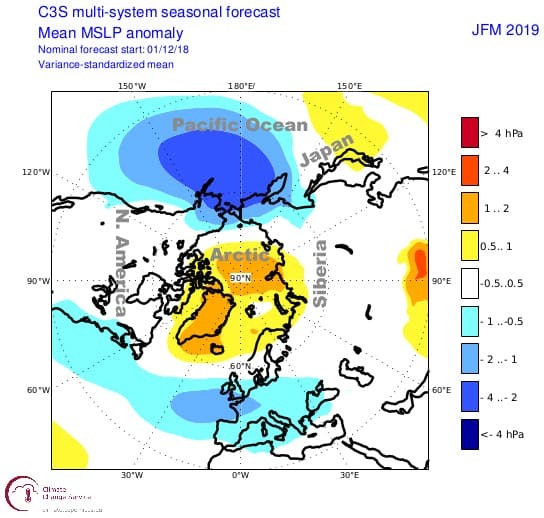 Furthermore, high pressure and geopotential height anomalies over the Arctic for January through March could signal a weaker polar vortex, and thus a negative Arctic Oscillation (AO). A negative AO means we are more likely to see cold outbreaks from the Arctic, which kicks the Japow Machine into overdrive. The AO is currently negative and short-term models suggest it will remain that way for at least the next two weeks. Here’s hoping it stays that way and the good times roll on. The general consensus from climate models support JMA’s snow forecast from now through March. It still looks a little El Ninoey, but like I mentioned in my previous outlook, it shouldn’t cause any major headaches. We can expect average snowfalls over northern Honshu, a little less than average over central Honshu, while southern Honshu should lie in the lower third of snowfalls. In saying that, anything less than average may coincide with more settled weather so that you may see where you’re going between face shots. Hokkaido appears to have more ducks lined up, so we could see a little more than average fall there, something in the realm of 5-10% more. That’s all from me folks, hopefully you’re already making your way to Japan or at least planning your trip. I’ll update this outlook in the middle of February. In the meantime, be sure to check out my weekly forecasts for both Japan and North America issued every Thursday. If you’ve got a different theory on what’s going to happen this winter, or just want to provide feedback, hit me up below or on Facebook.